Justice Ojwang came from Homa Bay (1965-1968) and Thika (1969-1970) High Schools to the University of Nairobi, where he earned the LL.B (1974) and LL.M (1976) degrees, before proceeding to Downing College, University of Cambridge (1978-1981) where he earned the Ph.D. degree specializing in Comparative Constitutional Law. He spent most of his career in academia, though an Advocate of the High Court of Kenya admitted to the roll on 18th September, 1983; he was Lecturer in law (1976-1983); Senior Lecturer in Law (1983-1987); Associate Professor of Law (1987-1990); Full Professor of Law (1990-2003); Dean of Law (2000-2003) – at the University of Nairobi in each case; Visiting Associate Professor of Law at J. Reuben Clerk Law School, Brigham Young University, Provo, Utah, U.S.A. (January – April, 1982). His Professorial Inaugural Lecture, Laying a Basis for Rights, delivered on 9th July, 1992 was published in Holdsworth Law Review(Birmingham), Vol. 15 No.1 (1991 – 92), pp.73-113. Transnational Law and Contemporary Problems: A Journal of the University of Iowa College of Law(2000), Vol. 10 No.2 (guest editor for the theme “Africa in the Third Millennium, Legal Challenges and Prospects”). Justice Ojwang’s scholarly papers have appeared in law journals, including: African Journal of International and Comparative Law (London) [1989, 1992, 1993]; Civil Justice Quarterly (London) ; East African Law Journal (Nairobi) [1974, 1975, 1976]; International and Comparative Law Quarterly (London) [1981, 1984]; Journal of African Law (London) [1989, 1990, 2002]; Journal of Constitutional and Parliamentary Studies (New Delhi) ; Law and Anthropology (Vienna) ; Netherlands International Law Review (The Hague) [1988, 1989, 1995, 1996, 1997, 1998, 1999, 2000]; Public Law(London) [1979, 1981, 1985, 1986, 1988]; Revue de Droit international de sciences diplomatiques et politiques (Geneva) ; Rivista Giuridica dell’Ambiente (Milano) ; University of Tasmania Law Journal (Hobart, Tasmania) ; Verfassung und Recht in Übersee (Hamburg) [1980, 1981, 1985, 1986]. 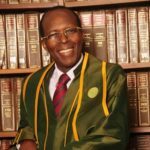 Justice Ojwang participated in many international fora of scholarly, policy and law-making deliberations, and made contributions to specialized tasks of the United Nations, the African Union, and leading foreign Universities. Justice Ojwang joined the Judiciary as a High Court Judge on 28th October, 2003 and served for six years and two years, respectively, at the Nairobi and Mombasa stations. 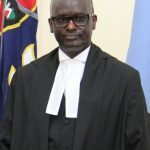 While in service in the Judiciary, Justice Ojwang has adjudicated a good variety of cases, and rendered comprehensive judgments that set jurisprudential directions, especially in the following areas: criminal law; civil law; constitutional and administrative law; probate and administration of estates; and admiralty law. Since his appointment to the Supreme Court, Justice Ojwang has authored several works of legal scholarship and of professional standing, notably: Ascendant Judiciary in East Africa: Reconfiguring the Balance of Power in a Democratizing Constitutional Order [ISBN – 13 978-9966-054-01-2] (2013); The Common Law, Judges’ Law: Law and Environment Before the Kenyan Courts (forthcoming). In the same period of time, Justice Ojwang has been bestowed, by the President of Kenya, with the Chief of the Order of the Burning Spear (CBS) [The Kenya Gazette, 11 December 2012 – Gazette Notice No. 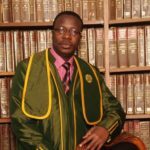 17703]; and by the East African Law Society, with EALS Senior Lawyer of the Year Award, 2013 “for an outstanding and distinguished legal and judicial career”.